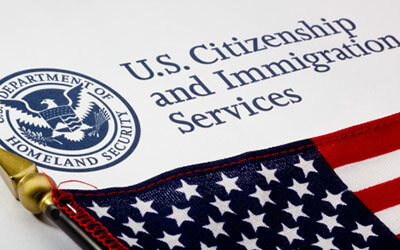 Date Posted: February 20th, 2018 Most native-born Americans have no idea how long it takes to legally become a U.S. citizen. Lawrence-Journal World explored this issue through the case of Syed Ahmed Jamal who took more than thirty years to finally become a citizen. To read more on his story, please click the following link: http://www2.ljworld.com/news/2018/feb/14/immigration-law-expert-explains-rocky-path-citizen/?utm_source=CLINIC+Mail&utm_campaign=406285de79-CLINIC_Daily_2-20-18&utm_medium=email&utm_term=0_a33179621a-406285de79-284015821.